+ Sundays - Join us for worship every Sunday morning at 11am. Morning Manna is every 1st and 3rd Sunday at 8:00am. 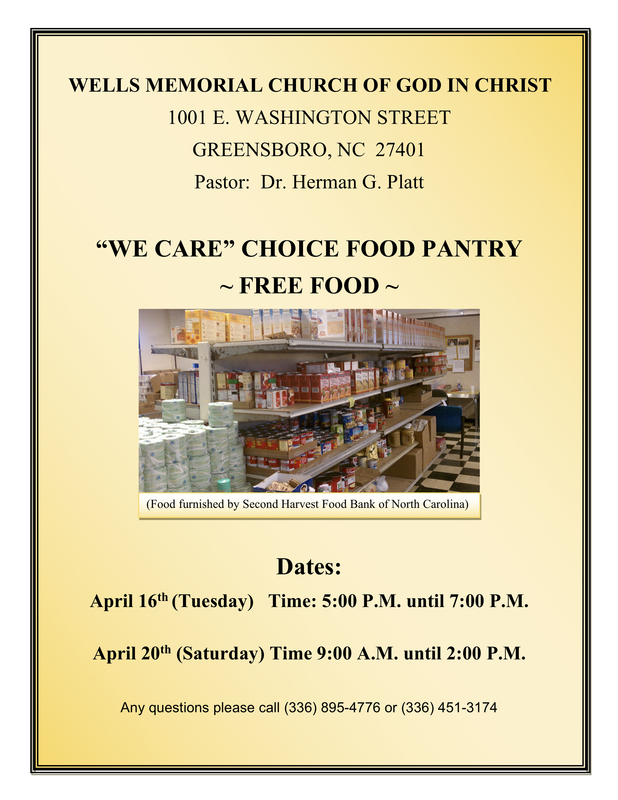 + We Care Choice Food Pantry - April 16 from 5pm to 7pm and April 20 from 9am to 2pm. Click here for flyer. 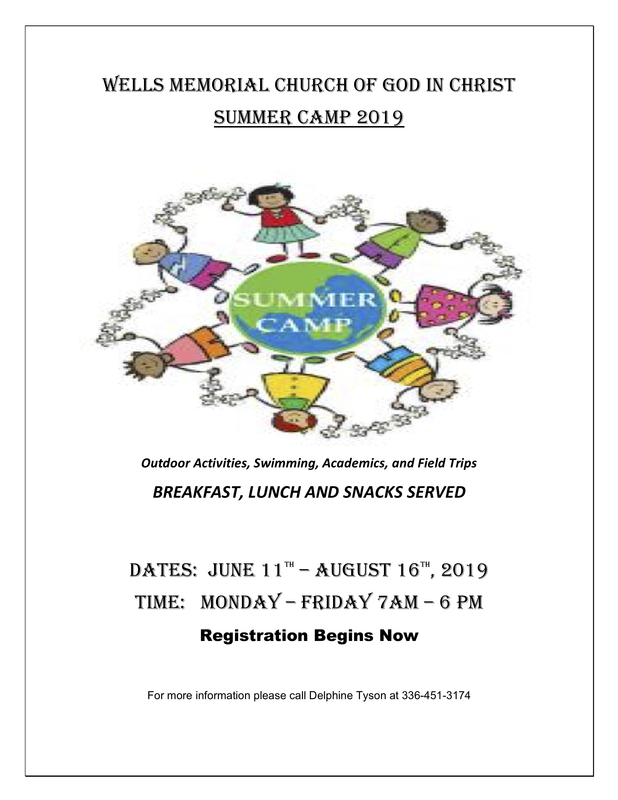 + Wells Memorial Summer Camp 2019: June 11 - August 6. Click here for more details.